Yes Valentines will soon be upon us, and what better to say "I love you" than with chocolate? The tree that chocolate comes from is called the "theobroma cacao", which in Greek means "food for the gods" and I would definitely concur that's what good, quality chocolate is! Chocolate is an aphrodisiac which is said to symbolize luxury, love, passion and affection. 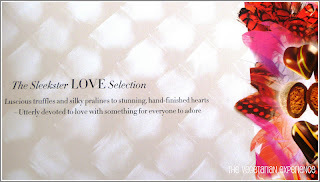 It is the most chosen valentines gift by lovers from generations way back into ancient times. So if you decide to follow the path of history and buy Chocolate for your loved ones this Valentines, then make sure that you buy some decent chocolates rather than rushing to the petrol station the night before! To score even more brownie points, I am sure that almost anyone would appreciate a chosen gift from Hotel Chocolat. Hotel Chocolat has a whole host of wonderful valentines gifts on their Valentines Gifts Page this year, perfect for that special someone in your life. To give us a taste of their Valentines range, Hotel Chocolat kindly sent me their Sleekster Love Selection to sample. The Sleekster Love Selection is really reasonably priced at £22 and features a range of delicious flavours including Bison Grass Vodka, Praline Oyster, Champagne Truffle, Bucks Fizz and the classic Caramel and Chilli Sweetheart Heart shaped Chocolates. The packaging and presentation of the chocolates is amazing. They look so beautiful and my heart skipped a tiny beat when I opened the box! 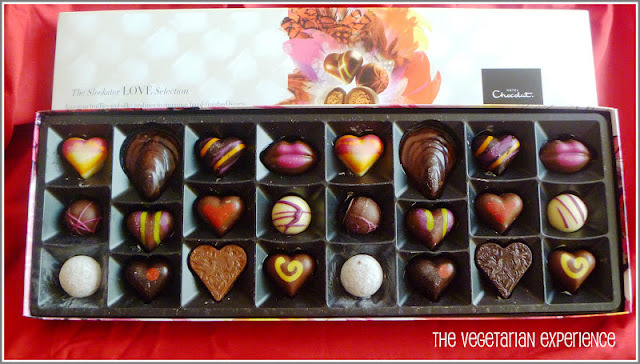 If I were to receive these chocolates on Valentines day I would certainly be one happy lady. 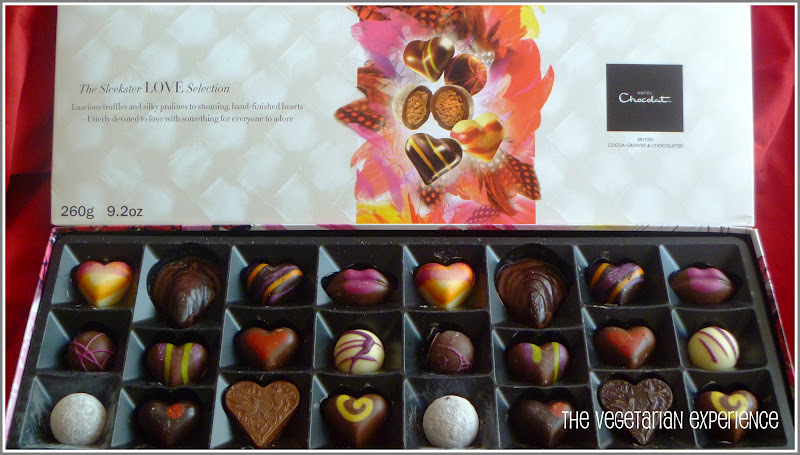 You can view the full Hotel Chocolat Valentines range here. I would definitely recommend going over and having a look. Happy Valentines Day for the 14th February!! I've spent about 2 hours looking for some for my mr on valentine's day!